Mara Galassi graduated from the Civica Scuola di Musica di Milano and the Pesaro Conservatory of Music with honors. She studied pedal harp with Luciana Chierici, David Watkins, and Emmy Huerlimann, performance practice with harpsichordist David Collyer and lutenist Patrick O’Brien and musicology with Michael Morrow in London. She served as principal harpist for the Teatro Massimo Opera House in Palermo, Italy. She currently lives in Milano where she teaches historical harps at the Accademia Internazionale della Musica di Milano. Mara develops her activities as soloist and as a member of the most famous early music Ensembles in Europe: Concerto Vocale (dir. Ren? Jacobs), Concerto Italiano (dir. Rinaldo Alessandrini), Mala Punica (dir. Pedro Memelsdorff), Concerto Soave ( dir. Jean Marc Aymes). 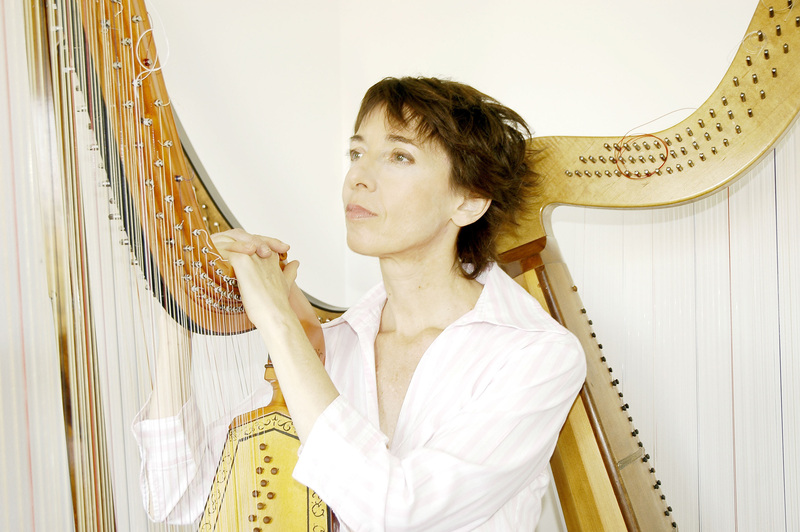 As musicologist Mara Galassi has done extensive research in the field of historical harps. She recorded for Tactus, Symphonia, Ricordi, Harmonia Mundi, Opus 111; Arcana. For Glossa , she recorded Il viaggio di Lucrezia a solo album of Italian baroque music for harp”, Les Harpes du Ciel with Gabriella Bosio, harp duetts from the second half of the 18th Century for two single action pedal harps, The Microcosm Concerto, music by Georg Friedrich Handel for Welsh triple harp, Erard harp and keyboard instruments, and the Concerto alla Harpa e Flauto by Wolgang Amadeus Mozart for Harmonia Mundi France, with the Freiburger Baroqueorchester. She teaches historical harps in Milano at the Accademia Internazionale della Musica and at the ESMUC in Barcelona.